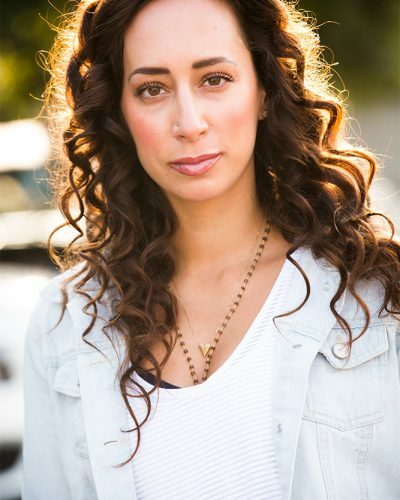 Robyn Cohen is an accomplished and multi-talented dancer, choreographer, Pilates Instructor, and Magician’s Assistant who has spent most of her life following her passions. Her interest in dance began when she started training at the early age of three. A native of Kansas City, she received her BFA degree, on scholarship, in Jazz Dance Performance from University of the Arts in Philadelphia, PA. She has always had a love of movement since she was little and has carried that enthusiasm and excitement into her adult teaching endeavors. Robyn began her Pilates training while studying in college for her Mat Certification with AAAI Fitness in Philadelphia, and since 2007 has been certified through Balanced Body University on all apparatus. In 2009, Robyn was honored to instruct Michael Jackson’s last touring dancers in Pilates in preparation for the King of Pop’s “This Is It!” London-tour. A certified TRX trainer, Robyn also was featured in Pilates Style Magazine for her training and work in ActivCore. Robyn realizes the importance of expanding her knowledge over the years with supplementing continuing education workshops, as well as advancing to become nationally recognized as a Pilates Method Alliance teacher. Robyn continues to expand her education expertise and in 2015 Robyn also completed her 300+ hour Yoga Teacher Training at The Raven in Silverlake California. She is currently thrilled to be able to share her passion for movement and baseball by instructing and strengthening The LA Dodgers. Robyn is grateful to be able to intertwine her knowledge, education, energy, and her unique experience with her clients.